In the only Arctic state in the United States, Alaskans have already been affected by health repercussions of warming. More and worse lie ahead, a new state health report says. No state in the United States has experienced the domino effects of climate change quite as rapidly as Alaska has. Temperatures there have risen twice as fast as elsewhere in the country and have, in turn, altered the very fabric of Alaskan life, including how people navigate their landscape, access and store food, and maintain their health as ground thaws and frozen coastlines melt and morph. The magnitude of this uniquely Arctic predicament motivated the Alaska Department of Health and Social Services (DHSS) to publish a new report documenting the current and anticipated health impacts of climate change in Alaska specifically. Alaska’s governor has said he aims to adhere to the goals proposed by the Paris Climate Agreement despite President Trump’s decision to withdraw the United States from the agreement. Governor Bill Walker, a registered Independent, signed an administrative order last fall to launch an Alaska Climate Change Strategy and a Climate Action for Alaska Leadership Team and hired Native Alaskan Nikoosh Carlo to fill the new position of senior climate adviser. Walker has stated that he is striving for a more sustainable future and aims to adhere to the goals proposed by the Paris Climate Agreement despite President Trump’s decision to withdraw the United States from the agreement. With regard to health specifically, the state’s leaders publicly acknowledge the threats of climate change and have committed to taking action against them, even in a conservative state that helped elect a federal administration that sees little, if any, danger from human-caused climate change. “We hear people talking often about change that is already occurring, so that’s hard to ignore,” Yoder said, adding that she and colleagues were well supported in producing the report. 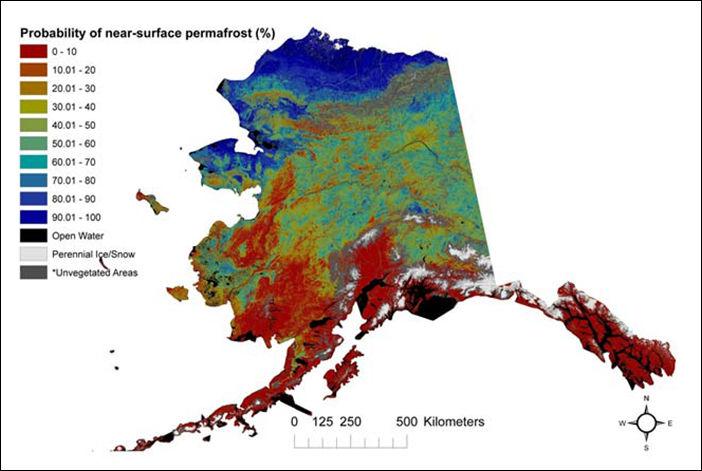 Through an extensive literature review and in consultation with state epidemiologists and other health workers, Yoder and her colleagues outlined emerging health threats linked to changes in glaciers, sea ice, permafrost, and other environmental features that define the state. It’s the most extensive report of its kind in Alaska; only a handful of other states, including Oregon, have produced similar reports. The health conditions detailed within the Alaska report cover a broad scope, but many circle back to two central themes: the ability of Alaskans to safely access and store food and vulnerability to mental illness in response to rapid change. Many Alaskans, particularly those within Native communities, still hunt and forage for wild foods. Risks of botulism and other food-borne illnesses may increase as food storage and preservation become more challenging in a warmer climate, according to Yoder’s report. Charles Sollie Hugo, a Native elder and oral historian with the North Slope Borough in Barrow, grew up hunting with his family. 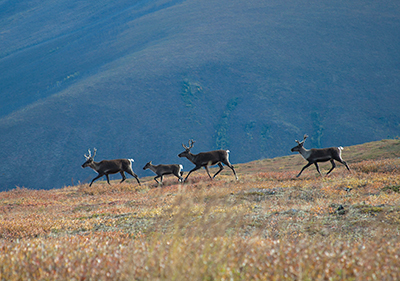 However, as the times when rivers freeze has shifted to later in the fall and their thawing has begun earlier in the spring, the window of time when it’s safe to traverse the land has narrowed, making caribou hunting less of a part of his life, he said. Traditional permafrost cellars that Hugo once used to preserve meat have thawed, flooded, and become inaccessible. Native communities now largely rely on electric freezers, but these can cost a lot to run year-round, he added. As wild foods become harder to access, Alaskans who rely on them will increasingly turn to store-bought foods that may lack the nutritional value of wild-caught foods and burden those turning to them with comparatively larger costs, said Jim Fall, a program manager in the Alaska Department of Fish and Game’s Division of Subsistence who reviewed the DHSS report prior to publication. Adding yet more complication, getting to stores or transporting food to Alaskans in both rural and urban locations will become more challenging and costly as tarmacs and roads become less reliable because of permafrost thawing, noted Fall. Among medical conditions cited by the report, one known as solastalgia will likely trouble many Alaskans as climate change advances, Yoder said. It’s the distress one experiences because of environmental change around one’s home. Among medical conditions cited by the report, one known as solastalgia will likely trouble many Alaskans as climate change advances, Yoder said. It’s the distress one experiences because of environmental change around one’s home. Australian philosopher Glenn Albrecht coined the term in the early 2000s in reference to the emotional impacts of severe drought and open-cut coal mining in Australian communities, but the concept has since gained traction as a helpful way to address the mental health impacts specific to climate change. “As people’s way of life changes and as anxiety about how things around the community might change—how their ability to access traditional food sources might change, or wildfires around their homes—that can all impact their general feelings of well-being,” said Yoder. Solastalgia relates specifically to changes a person experiences in their social roles as a result of environmental change and is especially pertinent within communities that live close to the land, as is the case across much of Alaska, said David Eisenman, a medical doctor and public health researcher at the University of California, Los Angeles. Solastalgia is its own distinct condition, but it can lead to other mental health complications, including anxiety and depression. “There is very little good, hard research on the mental health effects of climate change, and if you ask me, solastalgia is one of the first places to look for those effects,” said Eisenman, who produced a groundbreaking empirical study of solastalgia in 2015. The research looked at communities affected by wildfires in Arizona. Hugo described his own angst as caribou hunting wanes. “The lack of caribou is a big emotional letdown, it just tears your heart right from your soul,” he said. “It seems like a lot of the potential health impacts that aren’t really mental health can be tied back to mental health,” noted Yoder. Correction, 5 April 2018: In the main image caption, an incorrect statement about how the shape of the state of Alaska was created on the petri dish has been removed. Citation: Poppick, L. (2018), Alaska spotlights its health risks from climate change, Eos, 99, https://doi.org/10.1029/2018EO095129. Published on 19 March 2018.